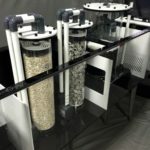 It’s not often that we write articles about freshwater or brackish aquarium topics, but this filtration system designed and built by Steve Bashi, is both beautiful and functional. We thought our readers would like to see this innovative Bashsea design. The new filtration system was built to replace 4 separate filter tanks on a 12 year old 500 gallon tank. The old system had become too difficult and impractical to manage. Vinny (GHL & Fauna Marin USA) reached out to us for help designing this setup for one of his clients and I worked with Steve to produce this custom signature series setup. 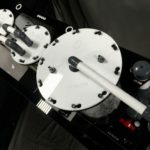 Water enters the enclosed right hand side of the sump (inverted design) and passes over the baffle wall into the 7″ filter sock section which is designed to trap larger particulate. The flow continues as the water moves to the next section where a Bashsea Bio Reactor resides. 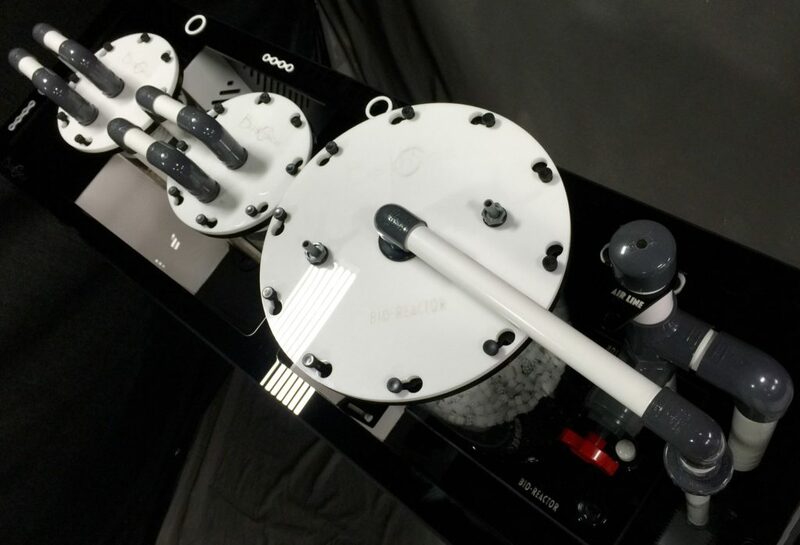 The Bio Reactor is the primary biological filter for the life support system and there is literally zero maintenance required for this type of reactor. Water enters the reactor through a internally plumbed Sicce pump. The reactor tumbles plastic media (non-biodegradable) similar to Kaldnes but with 30% greater surface area. As the media tumbles probiotic bacteria colonize the large surface area. The probiotic bacteria significantly reduces and maintains low ammonia and nitrate levels in the aquarium. 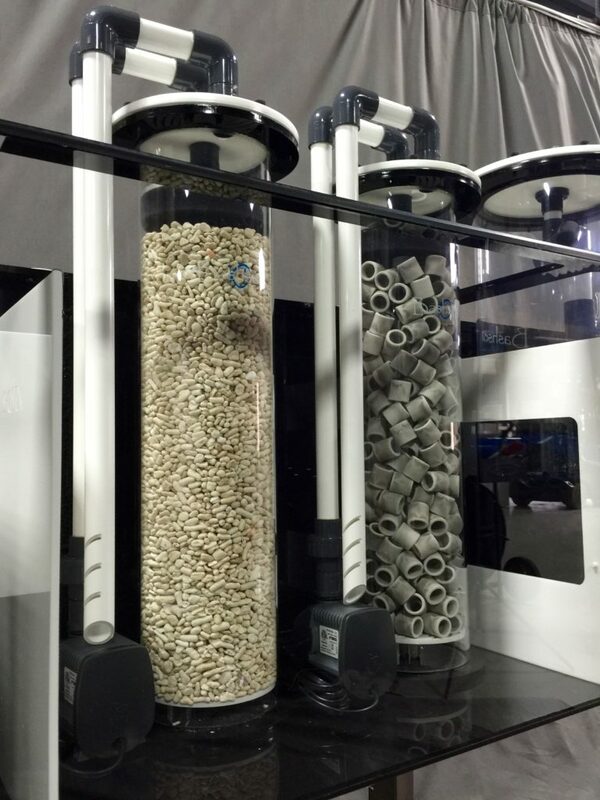 The 2rd reactor biologically filters the water further with the addition of a Siporax media (sintered glass). 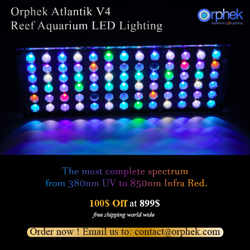 The aquarium is stocked with numerous African Cichlids and the system has a very heavy bio-load. 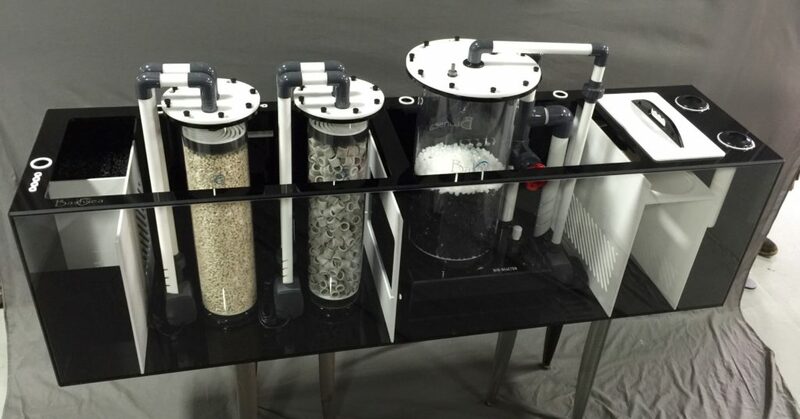 Bashsea added the 3rd calcium reactor for additional biological filtration. 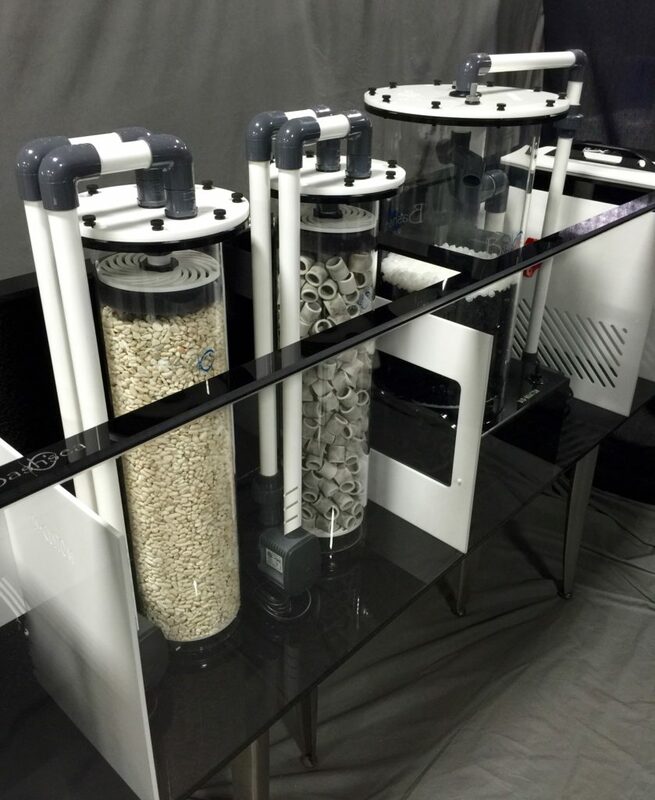 The 3 reactor system is the most efficient and complete filtration for an aquarium with a heavy bio-load. 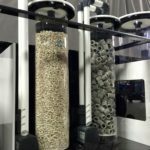 This same design could easily be used as a FOWLR system or as a reef aquarium life support system with the addition of a protein skimmer. Cable management cutouts to better organize and manage power cords. Includes several dosing holes and brackets and a probe holder. 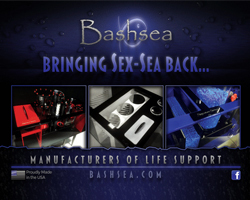 To learn more about Bashsea products please visit here.